How far along: 29 and 30 weeks! Total weight gain/loss: about a pound a week! Exercise: Not really anything out of the ordinary, just house chores and running around work! Stretch marks: Oh yes. Full blown below my belly button, I barely even noticed them, Collier had to point them out to me! Swelling: Nope! Thank goodness, especially in this heat! 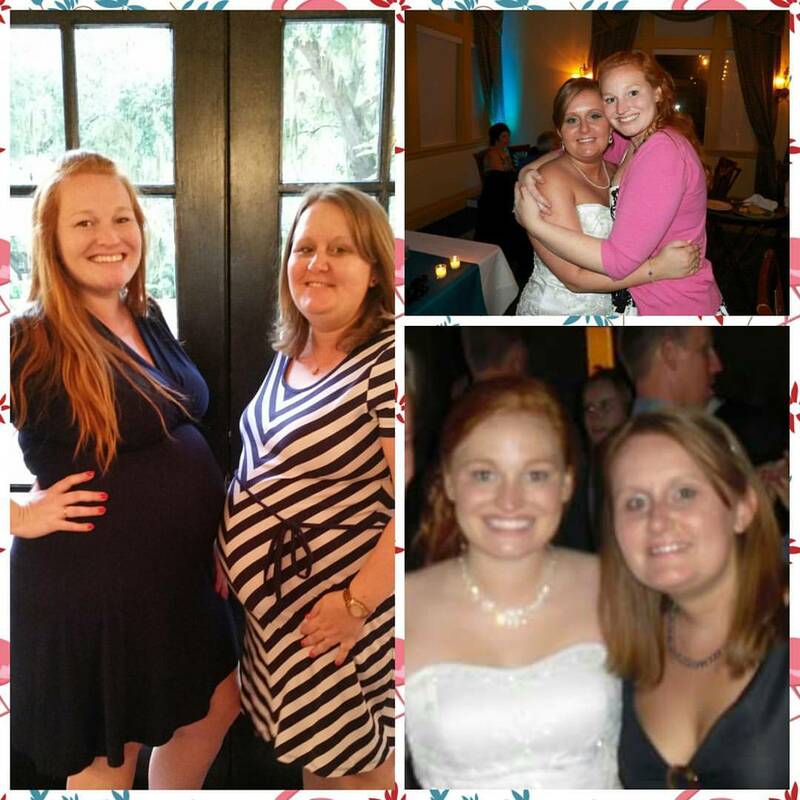 Maternity clothes: Yep! Loving dresses….easy and comfortable. Belly button: Slowly making its debut! Happy or moody: Happy! We are loving this pregnancy! Sleep: Still sleeping well, assuming it will stop being so amazing soon? Movement: A ton!!! I keep trying to catch it on video. What I miss: Sleeping on my stomach, but really nothing at all! What I’m loving: Being on this journey with Collier and experiencing all of these firsts together. We are just trying to take it all in. What I’m looking forward to: Being a family of 3! 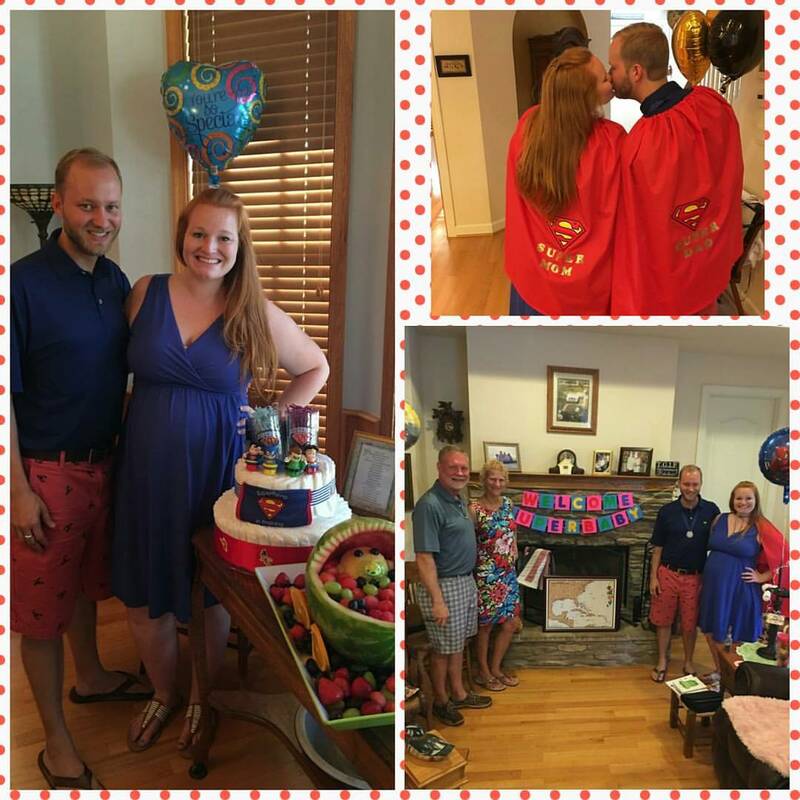 Best moment this week: Baby showers with both of our families! 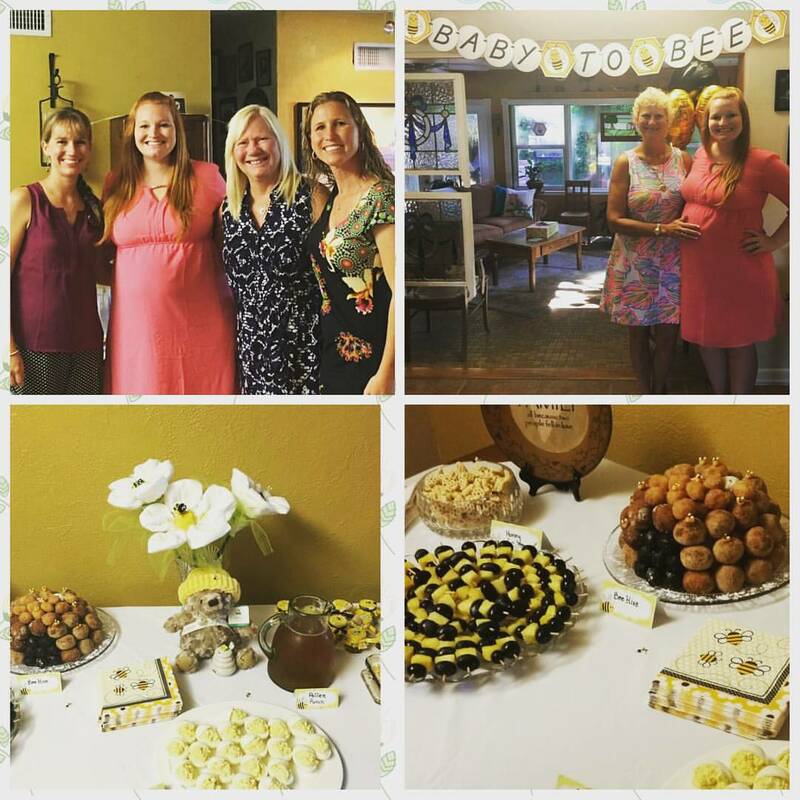 So fun catching up with everyone and seeing friends:) I also got to see a close friend of mine who was home as well for her baby shower! Our babies are due just a few weeks a part from each other! 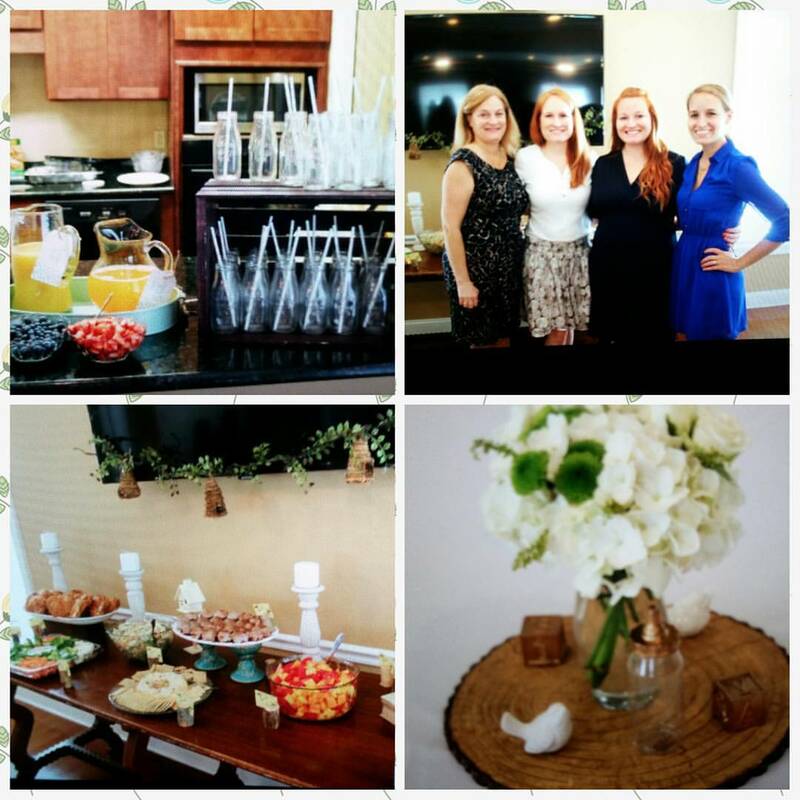 Milestones: Our family baby showers is a pretty cool milestone that I still can’t believe we made it too!